Today's map comes from the good people at Business Insider, who went around the country to determine each state's best sandwich. 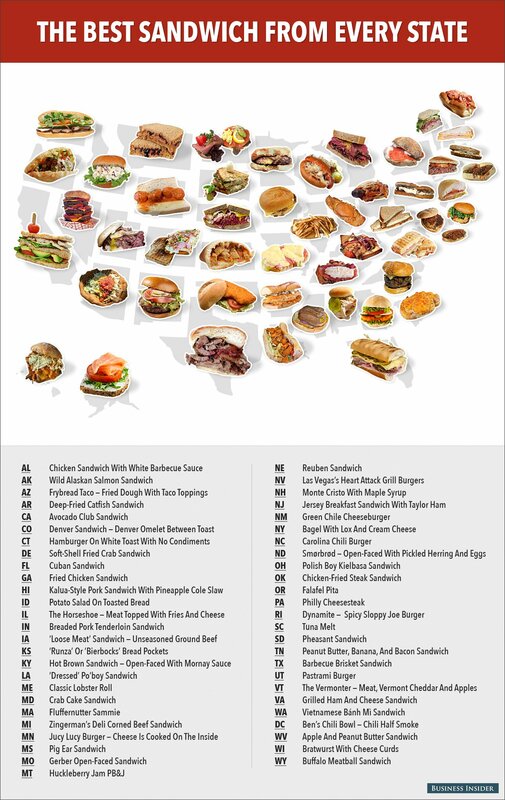 Of course these kinds of maps are subjective, so if you want to argue in favor of a different sandwich, make your case in the comments. The Afternoon Map is a semi-regular feature in which we post maps and infographics. In the afternoon. Semi-regularly. Thanks to Mike Nudelman, Megan Willett, and Business Insider for today's installment.